This dress looks stunning on. 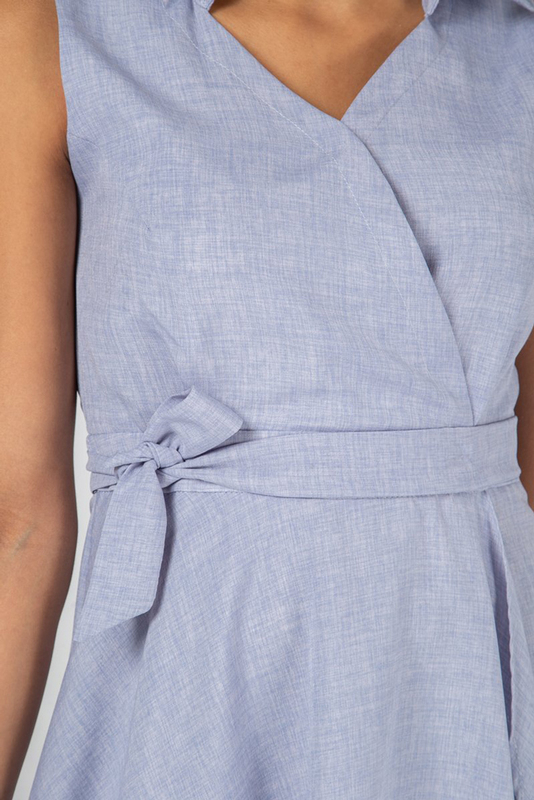 With a tailored collar neckline, this dress is so flattering on the bust and waist. The waterfall skirt is a great shape that makes it ideal for wearing day or night. The length is ideal for wearing with heels dressed up for a summer event. To wear dressed down, team this dress with tan sandals.